The world of subscription boxes has exploded over the last couple of years with everything from spices, sweets and craft supplies now available for your monthly dose of happy-post. Whatever your interests, you will find a subscription for you. I’m all for treating myself to a regular box of goodies; it’s good for the soul! Lazy Flora is such a good idea for a subscription box! I’m always envious of people with lovely gardens but sadly I just do not have the time or the skill set required to keep up with a beautifully planted garden. I also really struggle to get the plants from the garden centre due to the fact that I don’t drive so I was really pleased to discover Lazy Flora. Their monthly plant collections come in 3 sizes; Mini at £12.50 per month, Medium costing £16 per month and Large at £22 per month. 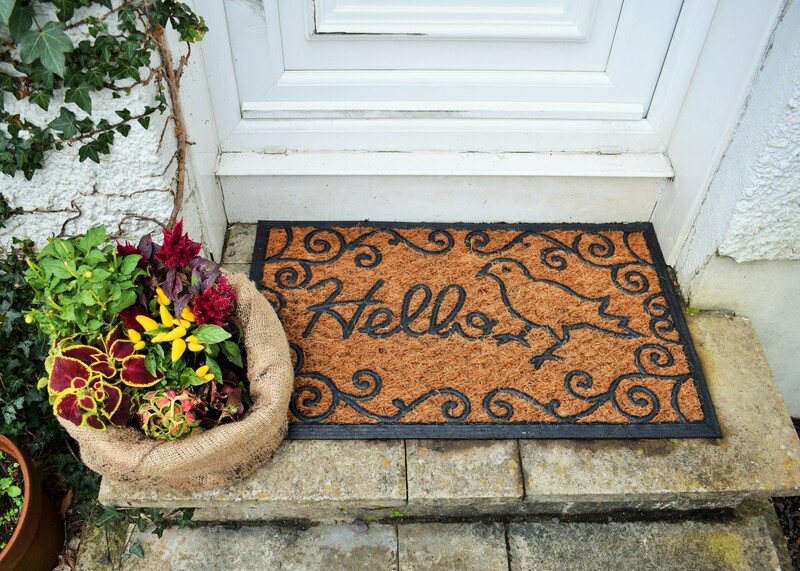 Included is everything you will need – plants, soil, gloves and full instructions. They even stock self-watering containers and offer a handy watering reminder service, so there really is no excuse! 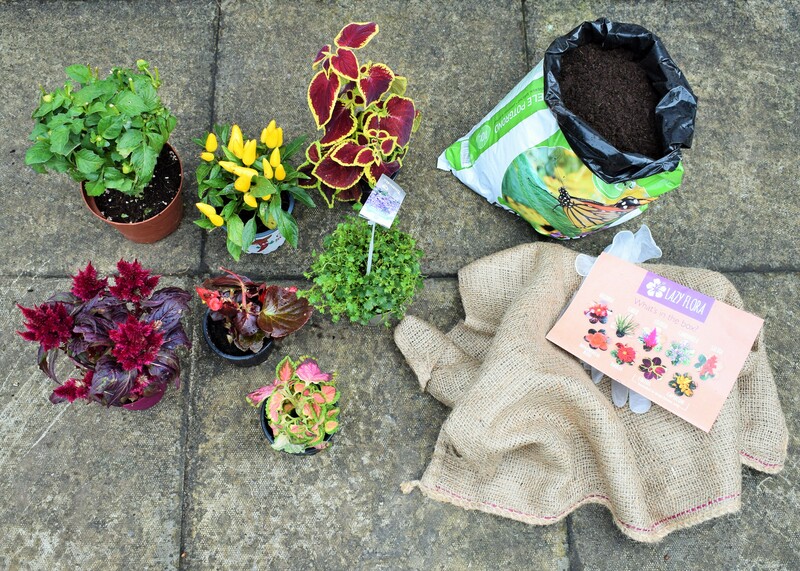 We had such a good time with our box and it was great to discover some new low-maintenance plants. How gorgeous are those capsicums?! Thomas loved shoveling the compost into the hessian planter and watering the plants once we’d done. 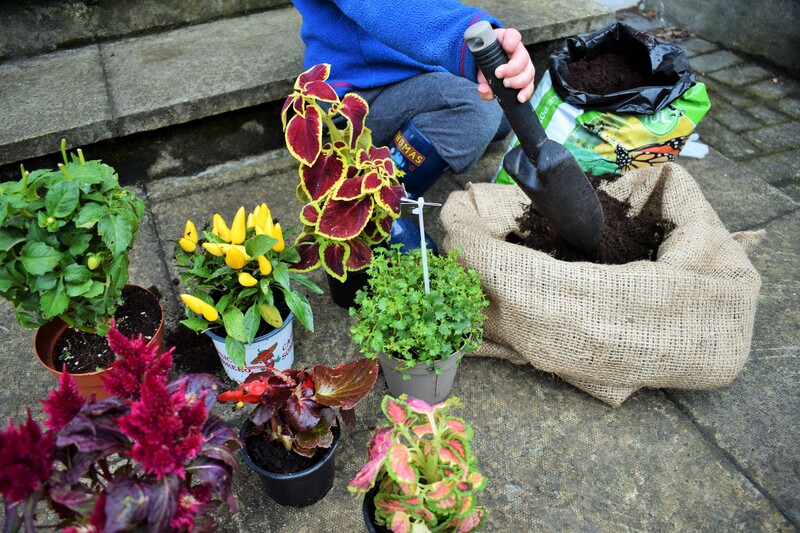 Gardening is such a fun and educational activity for the kids to get involved with; it’s never too early to encourage green fingers. Lazy Flora have just launched their Christmas collections and are soon to launch an indoor plant subscription which I’m very excited about! And if that wasn’t enough, I have an exclusive discount code for you! The code NESTANDDRESSED will give you 20% off a one-off box or you can use it to get an additional 20% off the first box in a subscription (which is already discounted by 30%!). Make sure you sign up to their newsletter so you don’t miss out on any exciting developments! The benefits of sensory play are well documented and it’s something both my kids enjoy, so when I heard about My Sensory Crate I was excited to give it a go. Each month, Natalie and her team handpick a selection of toys and activities designed to develop fine motor skills and cognitive thought as well as coping techniques for anxious children. It’s perfect for children with extra needs such as autism; in fact, 10% of the profit from each box is donated to the National Autistic Society. Included in the November box was Crackle Baff (makes the bath sound like Rice Krispies! ), a squeezy slime monster, a wooden cube toy (keeps Thomas amused during nappy changes! ), lavender scented Moh Doh, a light up spinner, a rattan shaker and a little bag of sweeties. As you can imagine the slime monster is a big hit with the kids! Madeleine also loves the Crackle Baff which is great fun, but my personal favourite is the Moh Doh. It smells lovely and is a great tactile way of your child learning to calm themselves down if they are feeling overwhelmed. Madeleine often struggles to convey her emotions and gets frustrated so I’m really looking forward to introducing this as a coping strategy for her. I suppose it’s a similar concept to the stress balls that were all the rage in the nineties – remember them?! To be honest I don’t think the sweets are necessary as many parents, myself included, try to limit their children’s sugar intake. I would have preferred either a healthy alternative or nothing at all but this is my only grumble with My Sensory Crate. Overall I think it’s a fabulous idea with a great selection of items. Subscription packages start at £24.99 for a single month and go up to £251.87 (why not £250?!) for a year, which works out about £21 per month. Orders are now open for the Christmas box and if you know a little one that would love to make their own snow amongst other things you are in luck because I have another exclusive discount code to share with you! For 10% off your first My Sensory Crate use the code MSCNEST10 at the checkout. Now here is a peachy little treat for you! 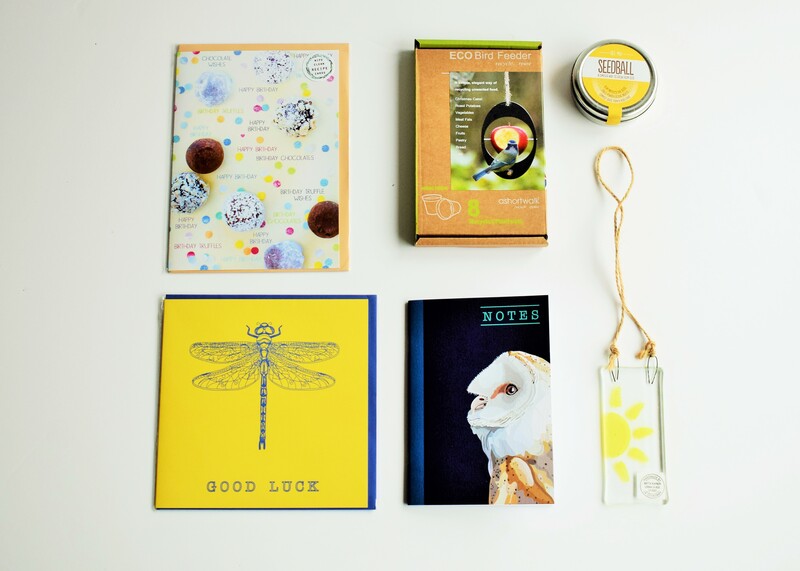 Who wouldn’t want beautiful stationery, delicious artisan chocolate and posh tea all wrapped up in golden tissue paper and popped through your letterbox each month?! I was so impressed with this subscription box. Andrea at Peachy Packages scours the country for the most gorgeous items to include in her boxes and the June box was no exception. I love the black & gold theme and the items are of really great quality. 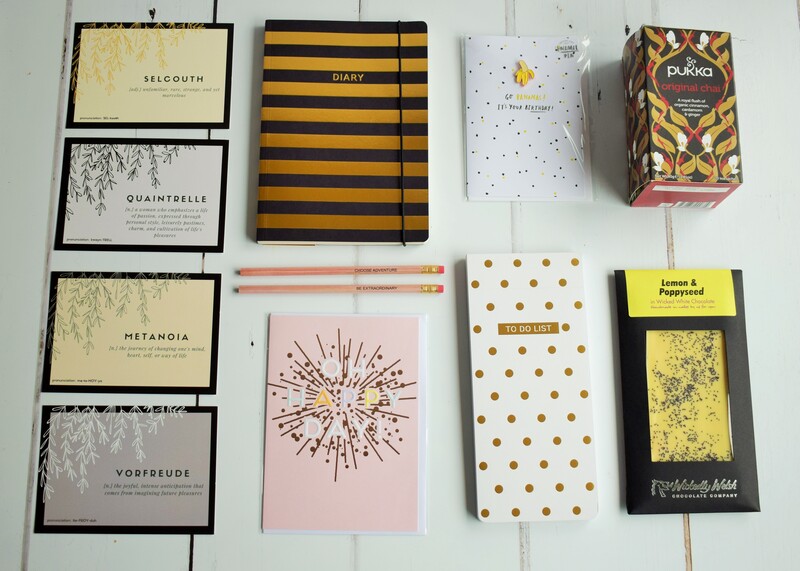 Chocolate, chai, a mid year diary, notepad, pencils, enamel pin card – this definitely feels like an indulgence and is well worth the £35. No wonder Peachy Packages appeared in Vogue’s Christmas gift guide this year! Fancy another exclusive discount code? Course you do! 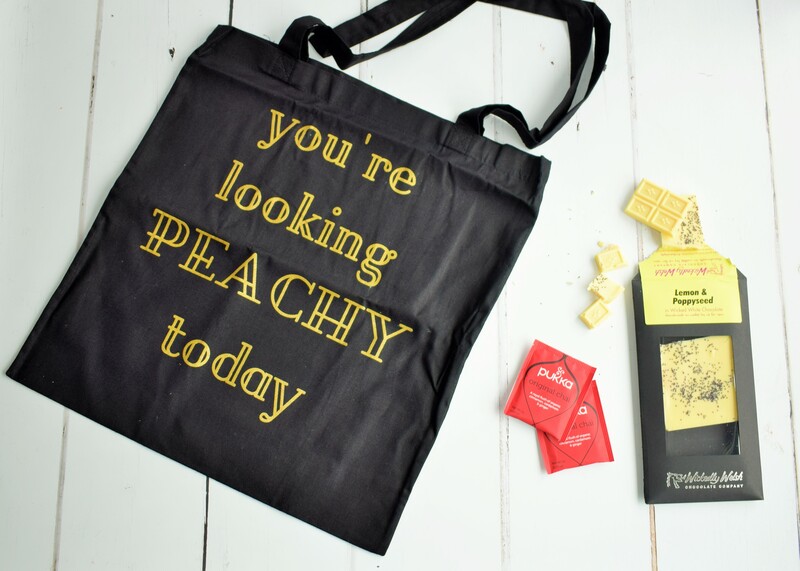 Luckily for you there are still a few of the June Peachy Packages left in stock so if you fancy treating yourself or a loved one, head over to the Peachy Packages shop, select the June box and use the code JUNE20TCG to get 20% off. You’re welcome! This is a lovely little box for those of us who appreciate our gifts handcrafted and beautifully presented. 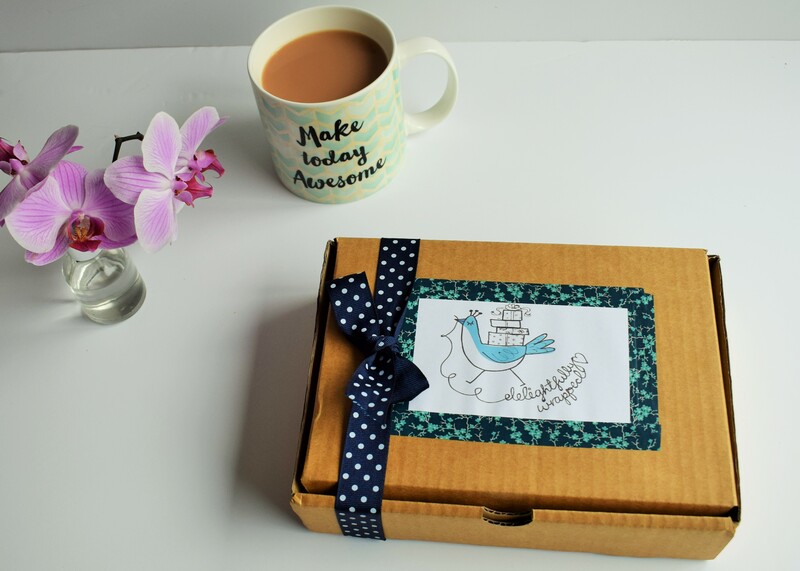 The Delightfully Wrapped subscription box is put together by Cath & Sam of Bring the Market to Me which stocks products from independent creative businesses across the UK. 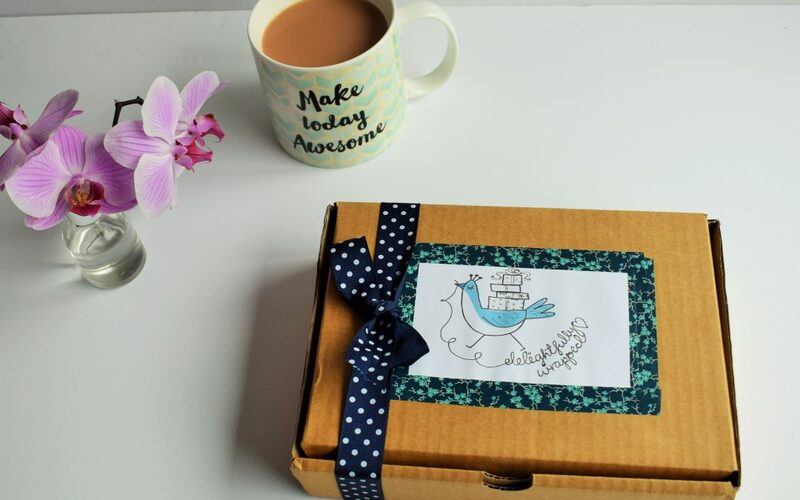 The idea of their subscription box is to give you a gorgeously packaged box of items all individually gift wrapped which you can either keep for your self or re-gift. This is such a lovely concept and they even include some extra wrapping paper for anything you wish to pass on to a friend or loved one. Each month has a theme with November’s being ‘Christmas is Coming’. I can only imagine the festive treats it will include! There are two different sized boxes to choose from; small for £10 per month or large for £20 per month. This is extremely reasonable considering there are no mass produced items included! Admittedly, the website is not the most professional looking or particularly well laid out, but please don’t let this put you off. Delightfully Wrapped is a lovely box containing limited edition items all wrapped for that personal touch. The handmade nature of it makes it truly delightful. 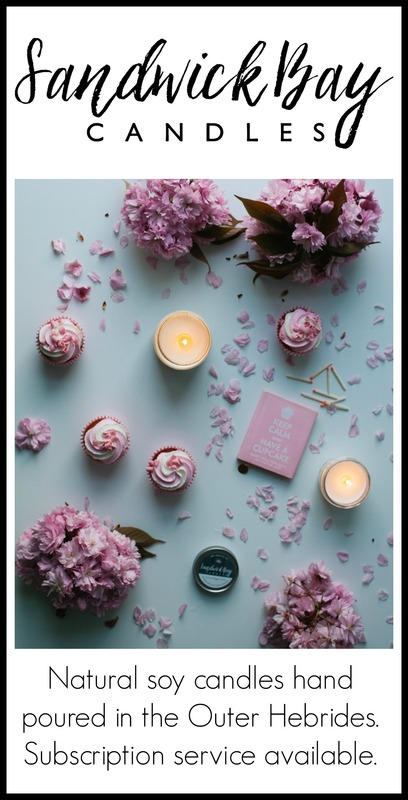 This is hot-off-the-press exclusive news because the lovely Megan at Sandwick Bay Candles is soon to be launching a subscription service for her handmade soy candles! Each month you will receive a beautifully designed box containing a large glass jar candle that has been handmade in the Outer Hebrides. The first scent in the subscription will be wood sage & sea salt and I can confirm it smells amazing! I’m a big fan of soy candles as they are an eco friendly, natural alternative to the usual paraffin candles. Soy also burns slower so you get more for your money, which is always a good thing! The one-off cost of a boxed candle will be £22 with the price reducing for subscriptions of 3, 6 or 12 months. 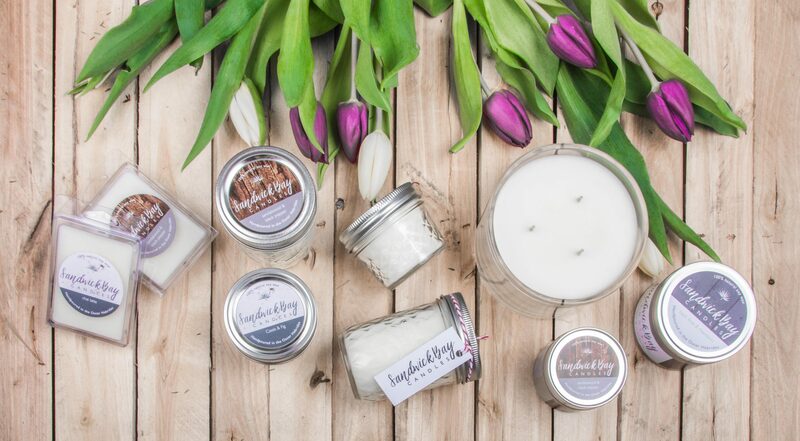 Make sure you sign up to the newsletter for all the pre-launch news and special offers, but in the meantime head over to the Sandwick Bay Candles shop and treat yourself to something lovely! 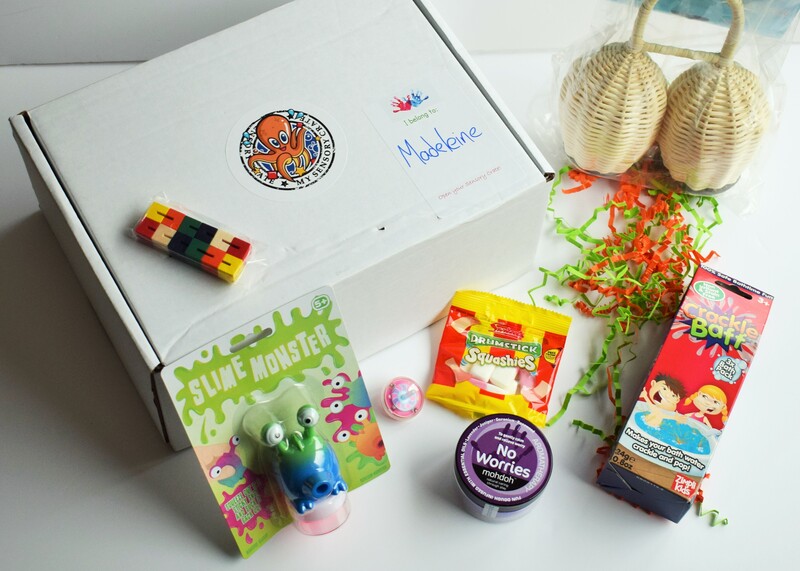 Are you a fan of subscription boxes? I love getting a monthly treat through the letterbox and they make such a lovely gift. If you know someone who would love one of these boxes why not treat them for Christmas. It’s the gift that keeps on giving! 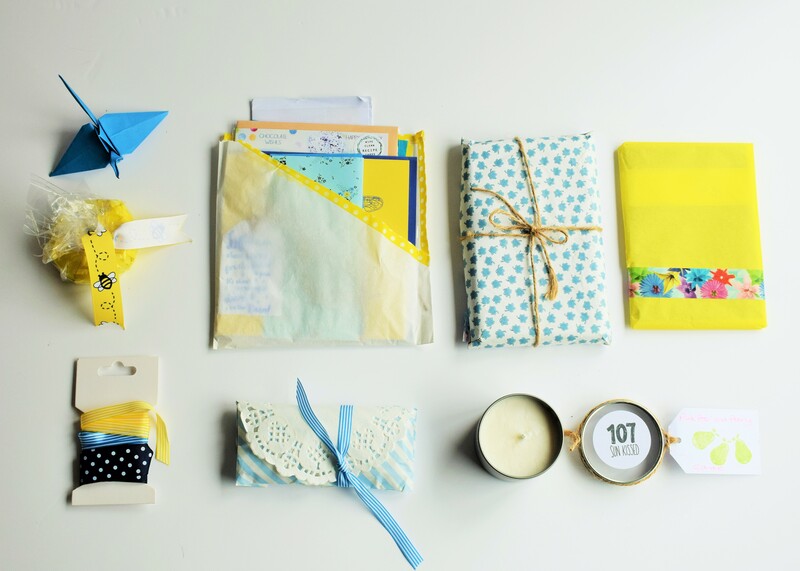 Adele, thank you so much for featuring Lazy Flora in your top subscription box roundup. I am so thrilled that you like our concept and that you and Thomas had fun assembling it. It means so much that you have taken so much time and care to write up this lovely review, and I’m proud that you have featured Lazy Flora alongside four lovely subscription boxes – I’m already checking them out for my own family’s Christmas presents!